Visit The Rocks and Justice & Police Museum for their historical value. Museum-lovers will appreciate Australian National Maritime Museum and ATTY Gallery. Spend the 7th (Sat) wandering through the wild on a nature and wildlife tour. Spend the 13th (Fri) exploring nature at Sydney Harbour National Park. The adventure continues: get up close to creatures of the deep with a dolphin and whale watching tour, take a stroll through Darling Harbour, hike along The Opera House to the Botanic Gardens Walk, and kick back and relax at Manly Beach. 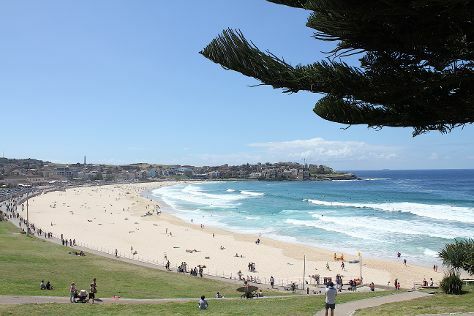 For other places to visit, more things to do, reviews, and more tourist information, read our Sydney holiday maker site . Kuala Lumpur, Malaysia to Sydney is an approximately 11-hour flight. The time zone difference when traveling from Kuala Lumpur to Sydney is 2 hours. In December, Sydney is slightly colder than Kuala Lumpur - with highs of 32°C and lows of 21°C. Finish your sightseeing early on the 14th (Sat) to allow enough time to travel back home.